On December 1st, guest speakers Amy Lins and Susan Hillebrandt gave an encore presentation of their wildly popular BYTE session, “The Art & Science of Working Remotely.” Attendees learned best practices, effective communication, and leveraging technology in remote employment situations. This post will share new information Amy and Susan discussed about interviewing for remote positions, hiring virtual team members, and the pros and cons of this unique employment arrangement. 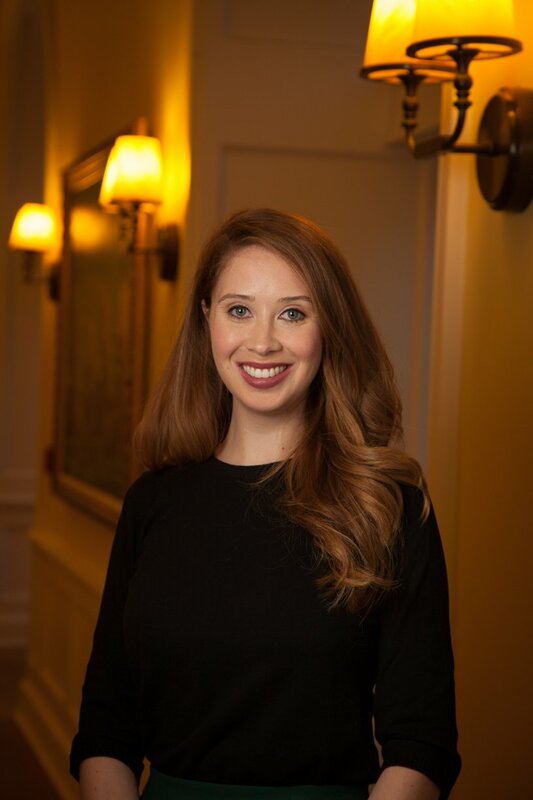 “In addition to the questions you would ask any employer about the overall company culture and fit, you should also ask about the remote work culture of that team and how the manager approaches their management. There are managers, just like in an office environment, who are really hands-on. [There are also those who are] hands off. “As a manager, there is no silver bullet that is going to ensure that you find the right fit for a remote team. You get better at it the more you interview and hire. But you’re going to have hiring fails in a remote environment. To minimize that, I recommend a Core Competency Model. Spencer and Spencer have a great model that we used to create the competency scale at my organization. Core Competency Models are along the same lines as performance standards, but they are used for hiring, performance management, and succession planning. They attempt to define behaviors exhibited by the top two percent of performers in that role. The zero to five scale shows a threshold of minimum competence up to the scale of a high performer. Zeros and ones are below the minimum; anyone who exhibits these minimum qualities will not be successful in the role. Twos and threes are the needed competencies. Anyone at that level would be within the performance threshold. Fours and fives are competencies of the high performer. Anything over a five is out of scope for the job. When you have [Core Competency Models], I suggest you go back and take a look at them with a remote work lens, which we didn’t do when we first created them. The second time through, look at, 'What does it take to be successful in learning and development and successful in that role remotely?' [You might find that for some competencies,] a level four might be a top performer in the office environment, but it may be the threshold for the remote worker. [The way to integrate Core Competency Models into the hiring process] is to build behavioral interview questions on those competencies, and get responses to see how people demonstrate these [skills.] This is hard to do, and it’s hard to do well. But work with HR and your team to build interview questions that will illicit responses to show how they demonstrated those competencies. “People tend to work more when working from home. There’s less chit chat and people tend to work when they’re sick. Sometimes you’re not really sick, but if you had to get up and drive to the office, it’d be too much. This is often a non-issue remotely." “There’s flexibility. In my team, we have a lot of flexibility; I don’t care when work get done, as long as it does. This is true for many remote teams." “It’s very easy to work from another location” with all of the technology available today. For more advice about virtual teams and remote employment, watch the entire presentation by Amy and Susan here: The Art & Science of Working Remotely. For additional resources, click on the links below. 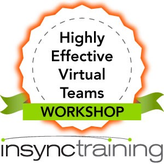 InSync Training also offers a private workshop on virtual teams. Check out our Highly Effective Virtual Teams Workshop by clicking on the graphic below.